It has been very long time I have not update this blog, actually we have a lot things to share with you all guys. End of last year we have planned to end the year of 2011 by organizing a 4D3N off road trip looking for a new 4x4 tracks as a preparation for our year 2012 event. We planned to enter at Sg Dala, Grik in Perak and exit at Sg Siput also in Perak which we are expecting to drive on off road route for approximately 40 to 50km. 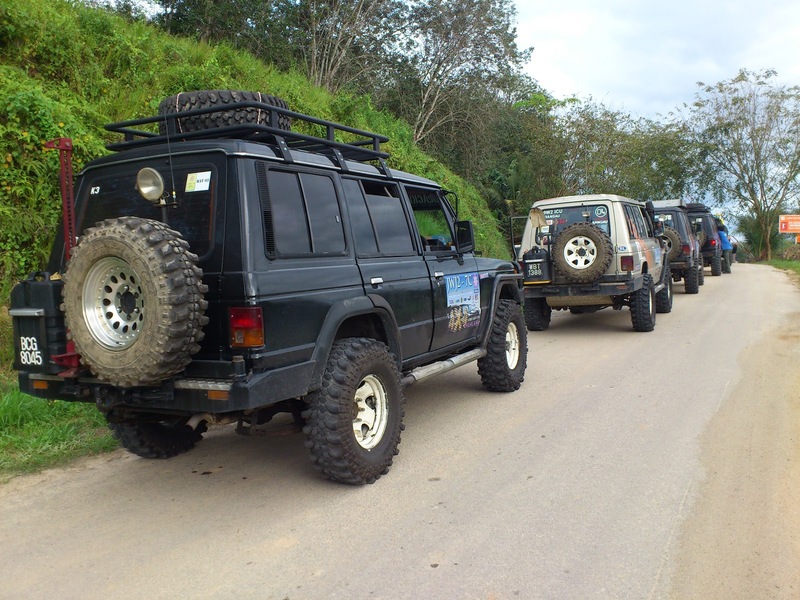 This time trip consisted of 6 Mitsubishi Pajeros, a Cherokee Jeep, a Land Rover and a Mitsubishi Storm. Due to unforeseen problem, we only leaving Klang Valley on Saturday early morning at about 3.00 am which has delayed us for 5 hours and managed to arrive at Lenggong, Perak at about 3.00 pm for last fuel and to buy some essential supplies. The team entered Grik rain forest at about 5.00 pm and it has been consider very late entrance which leave us no other alternative but to continue the journey. Its really the true adventure for us when one of convoy vehicles slipped and overturned when descending the slippery hills. Luckily no body injured. 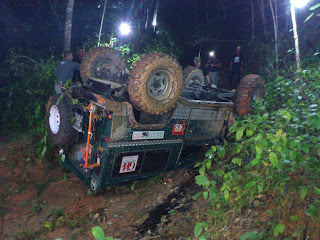 We spent all night long to recover the LR and the recovery mission end at almost 1.00 am. It was so lucky that we managed to recover the LR without much problem and severe damage on the vehicles.Feeling so exhausted we decided to camp and continue the journey on next morning. After repairing the vehicles in early morning, we continue the off road journey until we reached Pos Kemar on late evening and decided to camp and spent our night. Camping in tranquility besides the nice and cold stream has made us fully recovered after a long journey. It is beautiful and very peace environment until we almost forgot what had happen to us last night. It was the most adventure trip and we have learned a really team work along this trip. Skills and experiences are most valuable assets and it has to come with sacrifice. For all readers of this blog and if you are interested in gaining the experience and adventure on journey to the nature, please contact us by email on this blog. Thank you for reading and just want to share our experience with you all. 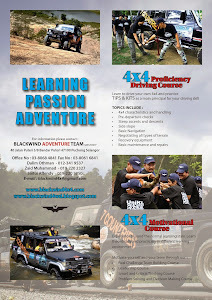 Next Trips Recce to Cameron Highland to Lasah in Perak.